Interactive monitor mounts are designed with spring-assisted technology for effortless ergonomic adjustments. A perfect addition for agile workplaces where efficiency and ergonomics are paramount. Choose from a range of single and multi-screen mounting options. 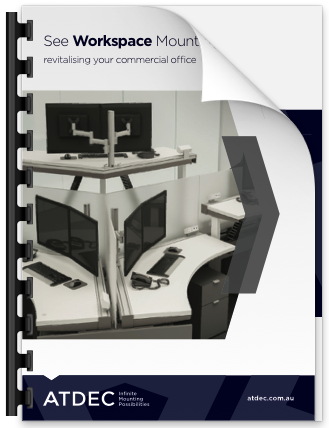 Try our modular range and create your own configuration ideally suited to meet your technology’s space, weight, height and occupational requirements.